The criminalisation of NGOs, who operate in the Mediterranean assisting migrants who are attempting to reach European soil, has become increasingly frequent in recent months. In 2017, several reports were published concerning clashes between police authorities wishing to reduce the flow of migrants and the humanitarian organisations who are trying to save lives and help those in need. The latest example of this harassment by authorities is the lawsuit against Spanish activist Helena Maleno, who was called to testify this Wednesday by a Moroccan court. Journalist and researcher specialising in migration, as well as the founder of the organisation Caminando Fronteras (Walking Borders), Maleno has been accused of collaborating with the mafia, in a „human trafficking“ investigation. Yet at the centre of the prosecution are the phone calls that the activist regularly made to alert the Spanish and Moroccan authorities when there are migrants in distress at sea in dinghies and at risk of drowning. Thanks to the work of Maleno, hundreds of migrants and refugees have been rescued in the Mediterranean, something that has earned her several awards in the field of Human Rights. 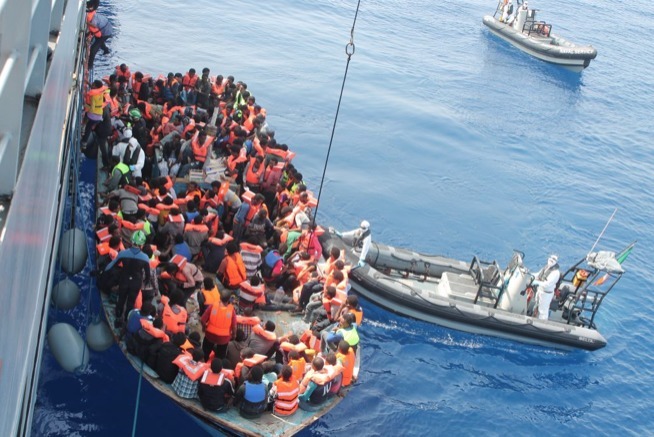 Other organisations such as Proactiva Open Arms or Doctors without Borders have also denounced strong restrictions and pressures from European authorities, which ultimately end up limiting their work of rescuing migrants. This type of persecution of humanitarian work is seen by such organisations as a way of frightening and discouraging activists from carrying out their jobs. As a resuslt of these actions, saving lives in the Mediterranean Sea is becoming increasingly difficult. Meanwhile, we will undoubtedly continue to hear news such as this week’s reports on the disappearance of close to 200 people feared dead after boarding overcrowded rubber dinghies that set off from Libya and sank in the Mediterranean. The first days of 2018 have been tragic. Unfortunately, the year has barely begun.